Statoil reports that production drilling has started on the Statoil operated Mariner field in the UK North Sea. 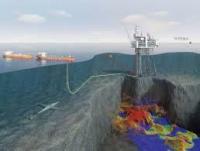 Mariner is one of the largest projects currently under development in the UKCS. Contracts worth over GBP 1 billion have been awarded to date to the UK supply chain by the project.